This is a new series of shows that will focus on a blight, a scourge, a locust in the land of Christendom—Bethel Church, in Redding, CA. I know those are strong, and to some, harsh words. Some, maybe even my esteemed colleague, philosopher, and apologist Ken Cook of CARM, might see it as poisoning the well. But I believe this series of broadcasts will reveal that I am not poisoning a well of otherwise fresh water. I am revealing a well of water filled with deadly poison. To the extent they are able; Richard Story and Ken Cook will join me on each of these special edition programs. 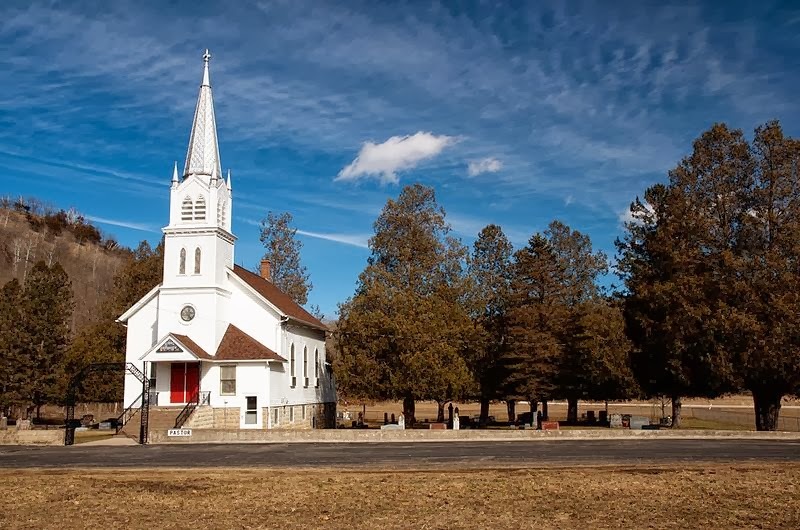 We will also try to have guests on the program—pastors and lay people who have felt the negative effects of what we may end up classifying as a cult, Bethel Church, in Redding, CA. Is this church a cult? That is yet to be determined. I believe Bill Johnson, and people like him, is a drug dealer who serves/sells/deals spiritual heroin, not to those seeking Jesus Christ as Lord and Savior, but to those who are seeking a spiritual high—to those who are seeking the bennies of alleged gifts of the Holy Spirit, but who are not seeking the Giver of Life, Jesus Christ the Lord. On previous Cross Encounters Radio programs, I have talked about Bethel Church. At times, my blood boiled over and my rhetoric was both sharp and loud. I’m going to try to exercise more control during these special edition broadcasts. I don’t want my flesh getting in the way of people hearing, understanding, and receiving the critically important information we are going to share. Let the message be the offense, and not we the messengers. During each broadcast, we will let you hear from Bill Johnson and others in his false “signs and wonders” movement, through audio clips of sermons, YouTube videos, and other forms of media. We will read portions of their writings. And we will weigh it all against the Truth of God’s Word. On this inaugural episode, we will talk to Bjorn Storm. Bjorn is an itinerant minister and preacher in the Stavanger area of Norway. Bethel Church is literally infesting the Lutheran Church, the State Church of Norway, and they are doing it through a Bethel sister church called Imi Church. We will talk to Bjorn shortly about the state of the Church in Norway, the influence Bethel is having on the people of his country, and an important conference taking place in January of 2014 to educate the Norwegian Body of Christ about the dangers of Bethel Redding and Imi Church. “Beni and Bill Johnson are the Senior Pastors of Bethel Church. Together they serve a growing number of churches that have partnered for revival. This apostolic network has crossed denominational lines in building relationships that enable church leaders to walk in both purity and power. “The present move of God has brought Bill into a deeper understanding of the phrase, ‘on earth as it is in heaven.’ Heaven is the model for our life and ministry. Jesus lived with this principle by only doing what He saw His Father doing. Learning to recognize the Holy Spirit's presence and how to follow His lead will enable us to do the works of Christ, destroying the works of the devil. Healing and deliverance must become the common expression of this gospel of power once again. “Bill and the Bethel Church family have taken on this theme for life and ministry. Healings, ranging from cancer to broken bones, to learning disorders and emotional healing, happen with regularity. This is the children's bread. And these works of God are not limited to revival meetings. The church is learning how to take this anointing to the schools, workplace, and neighborhoods with similar results. Bill teaches that we owe the world an encounter with God, and that a Gospel without power is not the Gospel that Jesus preached. In his bio, Bill Johnson mentions an “apostolic network.” He is referring to what is formally known as the New Apostolic Reformation. The following is taken from a show outline of an episode of Echo Zoe Radio, hosted by Andy Olson. The title of the Echo Zoe episode is Sandy Simpson: The New Apostolic Reformation. 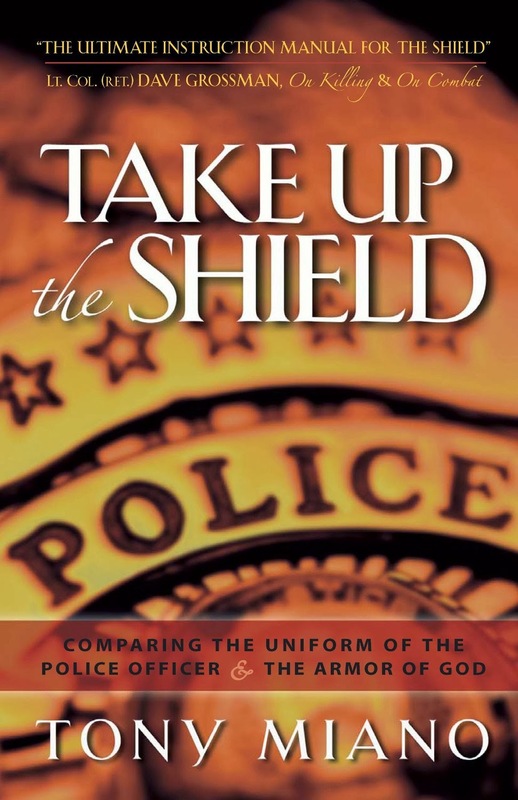 Some of the main players in this false spiritual movement include: C. Peter Wagner, Dutch Sheets, Chuck Pierce, Rick Joyner, Mike Bickel, Che An, Cindy Jacobs, as well as lesser players such as: Todd Bentley, Patricia King, Stacy Campbell, John Crowder (not the musician), Mark Chironna, and Steve Strang (publisher, Charisma Magazine) and others. "On the evening of that day, the first day of the week, the doors being locked where the disciples were for fear of the Jews, Jesus came and stood among them and said to them, 'Peace be with you.' When he had said this, he showed them his hands and his side. Then the disciples were glad when they saw the Lord. Jesus said to them again, 'Peace be with you. As the Father has sent me, even so I am sending you.' And when he had said this, he breathed on them and said to them, 'Receive the Holy Spirit. If you forgive the sins of any, they are forgiven them; if you withhold forgiveness from any, it is withheld.'" "Whose soever sins ye remit - See the notes on Matthew 16:19; Matthew 18:18. It is certain God alone can forgive sins; and it would not only be blasphemous, but grossly absurd, to say that any creature could remit the guilt of a transgression which had been committed against the Creator. The apostles received from the Lord the doctrine of reconciliation, and the doctrine of condemnation. They who believed on the Son of God, in consequence of their preaching, had their sins remitted; and they who would not believe were declared to lie under condemnation. The reader is desired to consult the note referred to above, where the custom to which our Lord alludes is particularly considered. Dr. Lightfoot supposes that the power of life and death, and the power of delivering over to Satan, which was granted to the apostles, is here referred to. This was a power which the primitive apostles exclusively possessed." "whose soever sins ye retain, they are retained: that is, that whatsoever sins ye declare are not forgiven, they are not forgiven; which is the case of all final unbelievers, and impenitent sinners; who dying without repentance towards God, and faith in the Lord Jesus Christ, according to the Gospel declaration, shall be damned, and are damned; for God stands by, and will stand by and confirm the Gospel of his Son, faithfully preached by his ministering servants; and all the world will sooner or later be convinced of the validity, truth, and certainty, of the declarations on each of these heads, made by them." No one but God has the prerogative, power, and the authority to forgive sins. In this respect, Bethel Church's teaching is akin to that of the Roman Catholic Church--an apostate religion that blasphemously bequeaths unto fallible, sinful priests and popes the authority to remit the sins of other sinners. "Treasure Hunts incorporates the use of words of knowledge (clues) that you write on your Treasure Map to find Treasures (people) who need a supernatural encounter with God through an encouraging prophetic word or healing. This is not about preaching or arguing with people, but rather giving them a practical demonstration of the goodness of God. Treasure hunts are a great tool for those who have felt intimidated by witnessing to family members, friends, co-workers, and those in the community. Through this fun and easy method you become empowered with confidence and competence to bring supernatural encounters to people around you. Through treasure hunts you can become a world changer, transforming your community one encounter at a time! "For more information, read Kevin Dedmon's book, The Ultimate Treasure Hunt, published by Destiny Image, 2007." Notice what is obviously and tragically missing from this spiritual party game? The gospel of Jesus Christ. In fact, Bethel Church goes out of its way to insure the gospel won't be shared with people during treasure hunts, with these words: "This is not about preaching or arguing with people, but rather giving them a practical demonstration of the goodness of God." "How then will they call on him in whom they have not believed? And how are they to believe in him of whom they have never heard? And how are they to hear without someone preaching? And how are they to preach unless they are sent? As it is written, 'How beautiful are the feet of those who preach the good news!' But they have not all obeyed the gospel. For Isaiah says, 'Lord, who has believed what he has heard from us?' So faith comes from hearing, and hearing through the word of Christ" (Romans 10:14-17). There is and never will be authentic, legitmate evangelism without the verbal and/or written articulation of the gospel. Faith comes by hearing! Faith does not come by having a "treasure hunter" stop you on the street and say, "Hey, how's your elbow?" Segment 4 - Soaking Up the Anointing.....From a Grave? "Necromancy is a claimed form of magic involving communication with the deceased – either by summoning their spirit as an apparition or raising them bodily – for the purpose of divination, imparting the means to foretell future events or discover hidden knowledge. The term may sometimes be used in a more general sense to refer to black magic or witchcraft. "The word 'necromancy' is adapted from Late Latin necromantia, itself borrowed from post-Classical Greek νεκρομαντεία (nekromanteía), a compound of Ancient Greek νεκρός (nekrós), 'dead body,' and μαντεία (manteía), 'prophecy or divination'; this compound form was first used by Origen of Alexandria in the 3rd century CE. The Classical Greek term was ἡ νέκυια (nekyia), from the episode of the Odyssey in which Odysseus visits the realm of the dead, νεκυομαντεία in Hellenistic Greek, rendered as necyomantīa in Latin, and as necrymancy in 17th-century English." Eleven times the Word of God warns, in both narrative and prophetic passages, against seeking the help of necromancers (Leviticus 19:31; Leviticus 20:6; Leviticus 20:27; Deuteronomy 18:11; 1 Samuel 28:3; 1 Samuel 28:9; 2 Kings 21:6; 2 Kings 23:24; 2 Chronicles 33:6; Isaiah 8:19; Isaiah 19:3). Sadly, Bethel Church and those influenced by her have a very low view of Scripture. This issue will be addressed in a later episode. In these graveside visits, Bethel Church members and those influenced by Bethel combine necromancy with another unbiblicial practice--the practice of "soaking." "During a Firestorm trip to Mammoth, California, the BSSM [Bethel School of Supernatural Ministry] students were surprised to hear that several days prior to their arrival, a local teenage girl had frozen to death in a blizzard. Since Jesus has commissioned us to raise the dead, it is the heart's cry of many staff and students to be used in this way. Kevin Dedmon and several students received the opportunity to pray over the deceased body. The young girl was not raised, but the faith of the community and the Firestorm team increased and a seed of faith was planted. "Several weeks later Beni Johnson [Bill Johnson's wife] traveled to Mammoth to teach at a youth conference. During one particular session, Beni began teaching on soaking (intimacy and encounters with God's presence) and going to Heaven (your spirit's encounter with the 3rd heaven realm). Coincidently [sic], a young man who knew the girl who had recently passed away in the blizzard was at the teaching. Sadly, his own sister had died the year before. "Beni then had the group participate in a soaking time and the young man came up to Beni to report what he encountered: When he was lying on the floor he went to Heaven and saw two girls dancing there: one was his sister and the other was the young girl who had died. They told him not to cry anymore and as they said this a tear dropped on his chest. As it hit his chest it exploded and went out from him. Because of this experience, his heart and other people's hearts were freed from grief and sorrow! "Since the 1990s there has been an increased focus on mysticism within various segments of Christianity. Bordering on the esoteric, these mystical experiences broaden the division between a 'factual faith' and a 'felt faith,' and threaten to replace sound biblical teaching with emotion-driven response. Soaking prayer is one such mystical activity. It is described as resting in God's presence. This is accomplished by playing some gentle worship songs, either sitting or lying down, and praying short, simple prayers for an extended period of time, but otherwise keeping your mind free of other thoughts. At the point when you sense God's presence through some type of manifestation like tingling skin, a sensation of heat or cold, or even a gentle wind seemingly blowing through your body, you are to just 'soak' in that presence. "Although that might sound a little strange to some, it does not immediately come across as being necessarily bad. However, the rule by which we measure our experiences in life is the Bible (2 Timothy 3:16-17), and when soaking prayer is examined accordingly, we find that it comes up wanting for biblical support. Nowhere in the Bible can a model of prayer be found that soaking prayer follows." Houdmann's words are telling of much of what Bethel Church calls "ministry" --"Nowhere in the Bible can a model . . . be found." Bjorn discusses what church is like in Norway. Influences on churches in Norway. Most churches in Norway are Lutheran but not Lutheran as much of the world sees at the denomination. The State Church has been separated from the state. Very few churches stand on the Word of God. There are small pockets of genuine believers in the church of Norway. The greatest challenge is the youth and young adults. They are being eaten alive by ones such as Bethel Church. A small country like Norway is greatly impacted when false teaching comes in. Norway is a nation of less than 6 million people. A large church in Norway is one that numbers in the hundreds. Imi Church is a large church in Norwegian standards. They have about 700 or 800 members. They are the most popular and most influential church in Norway and are a part of the Lutheran Organization. Since the beginning of the 90’s Imi Church has been working with the Toronto Airport Vineyard people and other Word-of-Faithers. Only few Christian leaders in Norway have seen the true danger of Bethel's influence. Over the last three years, the influence of Bethel' practices, philosophies, and theology on Norwegian churches has increased. Bethel is aggressively doing outreaches and training in the region, especially targeted towards the youth and young adults. They have been doing the Treasure Hunts in Norway. When Bjorn started addressing the false teaching of Bethel to Christian leaders and proponents of Imi Church he was fired, from his position with one of the nation's Lutheran organizations. He has since been rehired by another Lutheran organization that is committed to expository preaching and bringing the true gospel back to the Norwegian people. "Back to the Word of God Conference" (January 2014) is designed to bring the Truth of God’s Word in the Scriptures back to the country of Norway. Paul Washer will be the featured speaker of the 2014 conference. And so ends our first Cross Encounters Radio episode dedicated to Bethel Church and the New Apostolic Reformation. Even in this introductory episode, I hope you, the listener/reader can see how dangerous this church and this movement is. Stay tuned for more episodes about Bethel Church and the New Apostolic Reformation as we try to expose the one who appears as an angel of light, with the true light of God's Word. 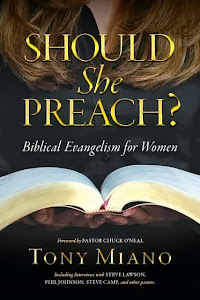 Don't forget to check out Tony's new book, Should She Preach? - Biblical Evangelism for Women.